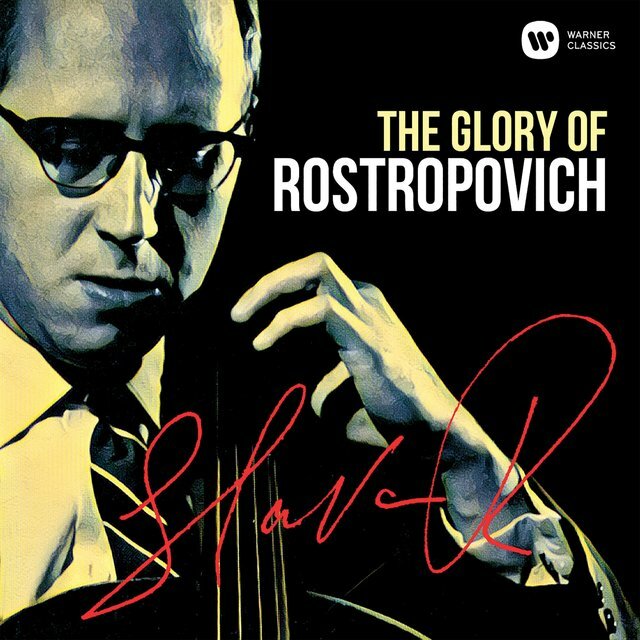 One of the great cellists as well as one of the leading conductors of the 20th century, Mstislav Rostropovich's passionate and virtuosic performance style sometimes seemed to reflect the turbulent events in his life, including his exile from his native Soviet Union. 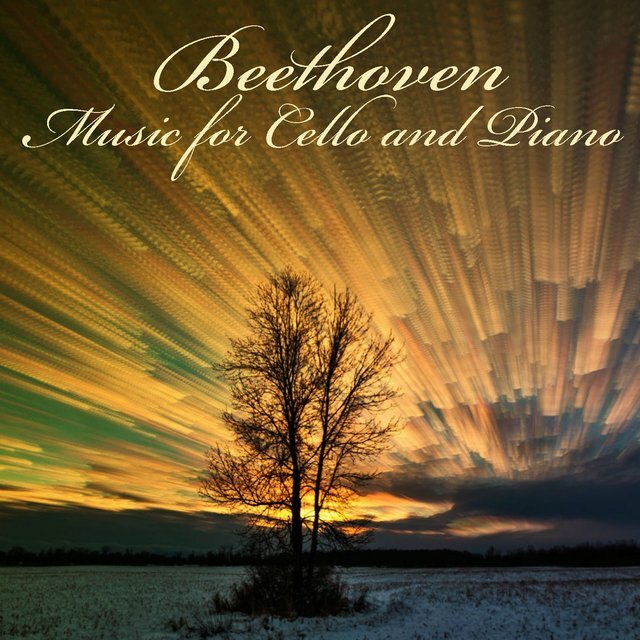 In addition to his ability to project with notable fullness in all registers of his instrument, he had complete command of the styles of all the musical eras and national schools in the standard cello repertoire of the time. A strong supporter of new works, he premiered over 100 pieces as a performer, including Sergey Prokofiev's Cello Sonata in C, Op. 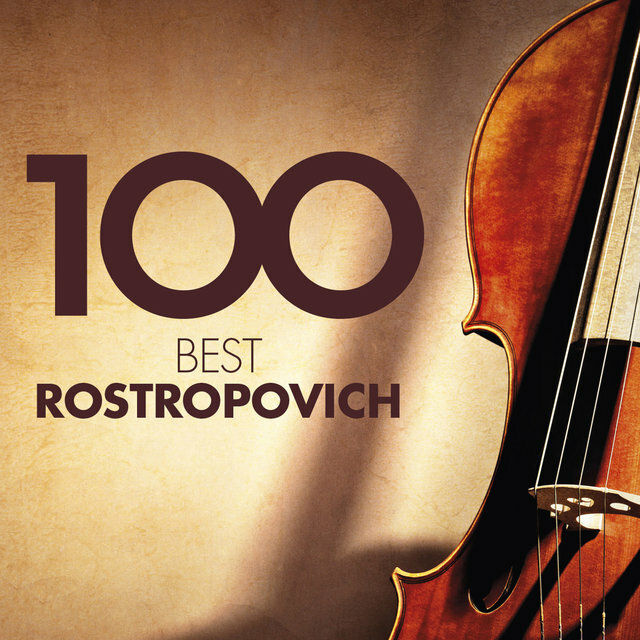 119 in 1950, which was composed for him. 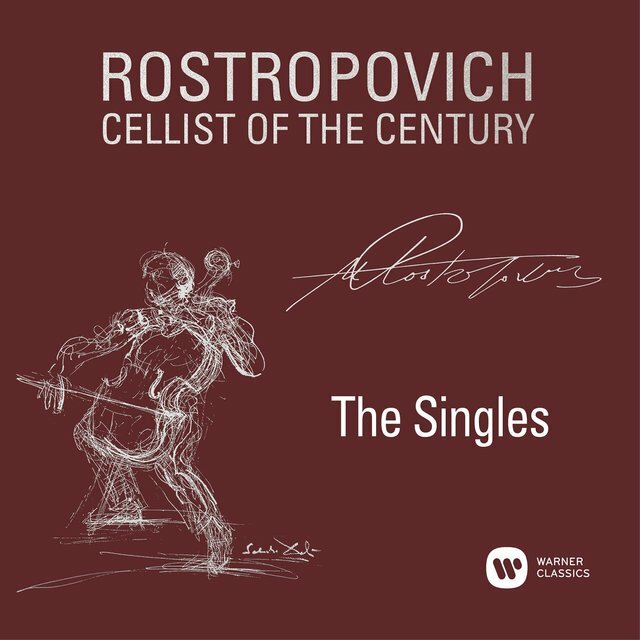 In 1959 and 1966, respectively, Dmitry Shostakovich's first and second cello concertos were written for and premiered by the esteemed cellist. In the meantime, he made his conducting debut in Gorky in 1962, and five years later, he made his Bolshoi premiere conducting Tchaikovsky's Eugene Onegin. 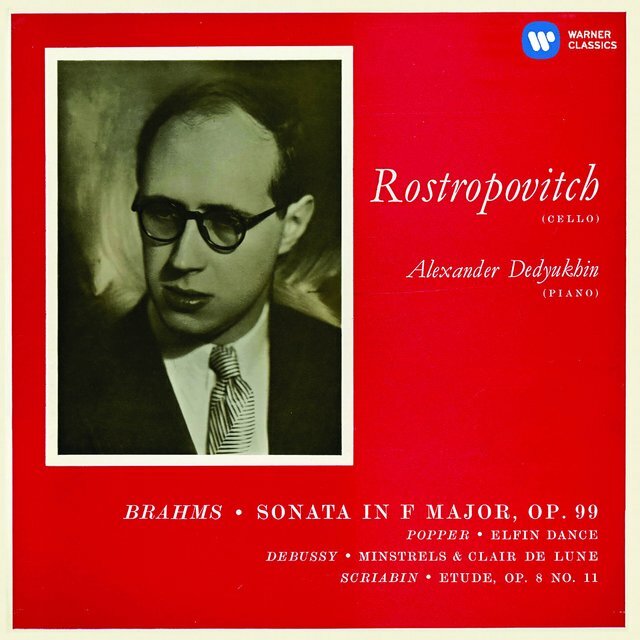 In 1970, Rostropovich's open letter in support of dissident writer Aleksandr Solzhenitsyn led to canceled concerts and, eventually, his exile from the Soviet Union. His citizenship was revoked while abroad in 1974. That same year, he was honored with an International League of Human Rights medal. A cover story in Time magazine followed in 1977. 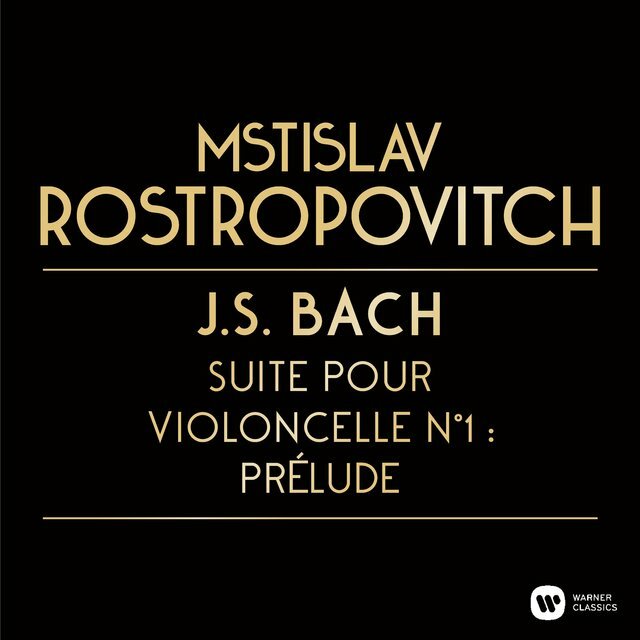 In November of 1989, when he heard that demonstrators were gathering at the Berlin Wall, he had a friend fly him from Paris to Berlin and performed one of his signature pieces, the Sarabande from Bach's Cello Suite No.2, at Checkpoint Charlie as parts of the wall came down (his Soviet citizenship was restored a year later). 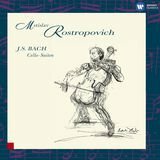 His benchmark recording of the complete Bach Cello Suites followed in 1995. 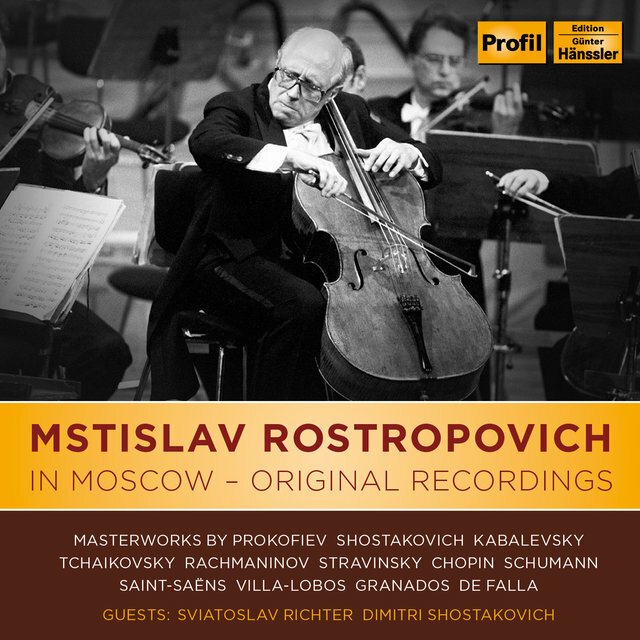 Rostropovich appeared at his 80th birthday celebration at the Kremlin a month before his death in April of 2007. 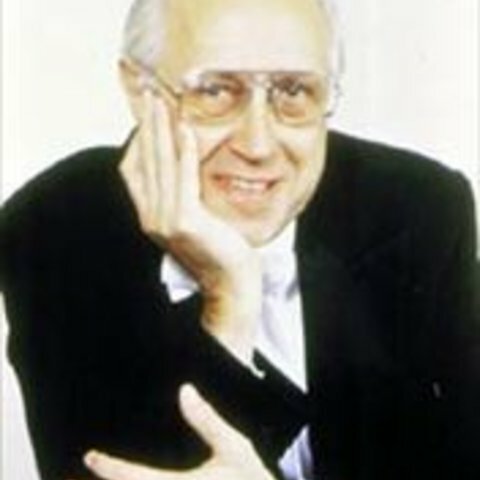 Mstislav Leopoldovich Rostropovich, known familiarly as Slava, was born to professional musicians in Baku in Soviet Azerbaijan on March 27, 1927. 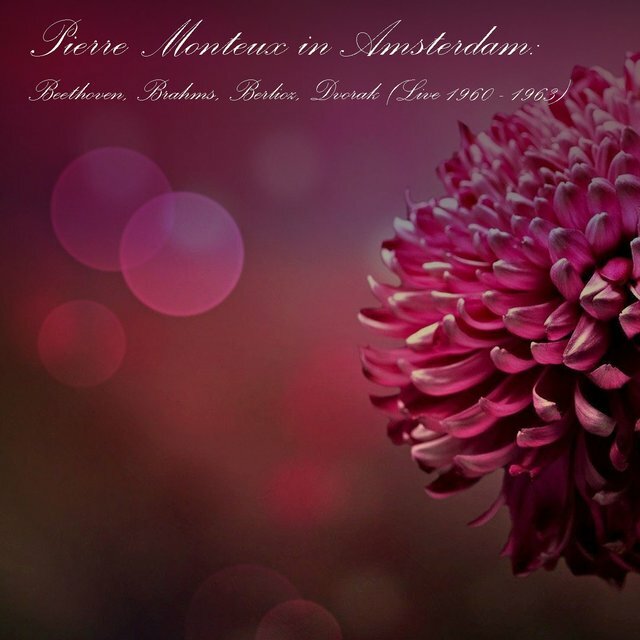 His father, Leopold, was a cellist, and his mother was an accomplished pianist. The family moved to Moscow in 1931 when Slava's father took a position as teacher at the city's Gnessin Institute. 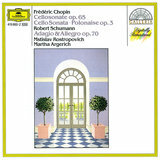 Four years old at the time, Slava had already begun studying cello with his father. He gave his first recital at the age of eight. He enrolled at the Central Music School in 1939, remaining there until 1941. Two years later, he entered the Moscow Conservatory, where he studied cello with Semyon Kozolupov and composition with Vissaryon Shebalin and Dmitry Shostakovich. After leaving the conservatory in 1948, he secured a position as Sergey Prokofiev's music secretary. 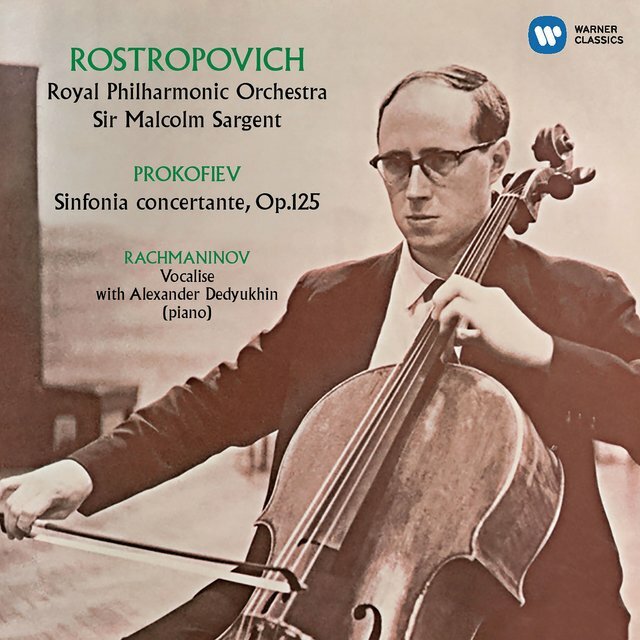 Rostropovich's presence prompted Prokofiev to rewrite his earlier Cello Concerto in E Minor, transforming it into a much more imposing work, the Symphony-Concerto for cello and orchestra, Op. 125. 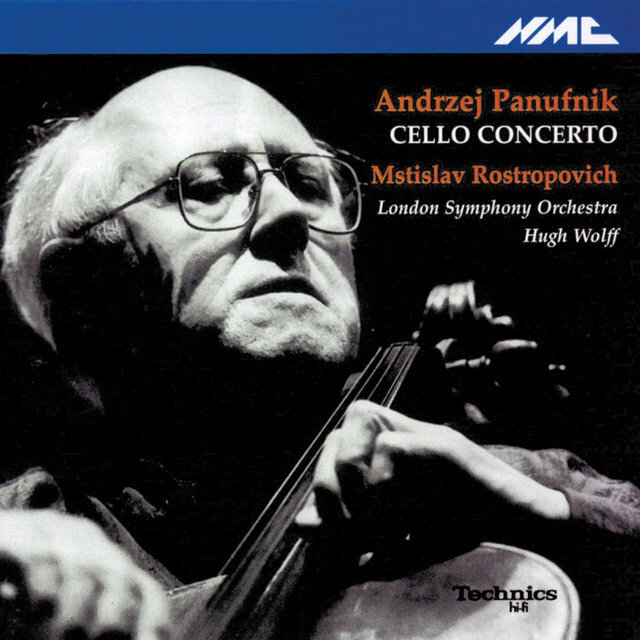 Rostropovich went on to win the International Competition for Cellists in Prague in 1950 and began to perform throughout Russia. His first appearance in the West was in Florence, Italy in 1951. 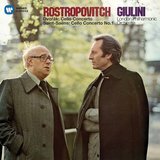 Following Prokofiev's death in 1953, Rostropovich and Dmitri Kabalevsky completed his unfinished Cello Concertino in G minor, Op. 132. He married Galina Vishnevskaya, the star soprano of the Bolshoi Opera, in 1955. The couple found themselves at odds with the authorities when Soviet President Nikolai Bulganin, who had been romantically pursuing Vishnevskaya, canceled their long-planned 1956 tour of the West. 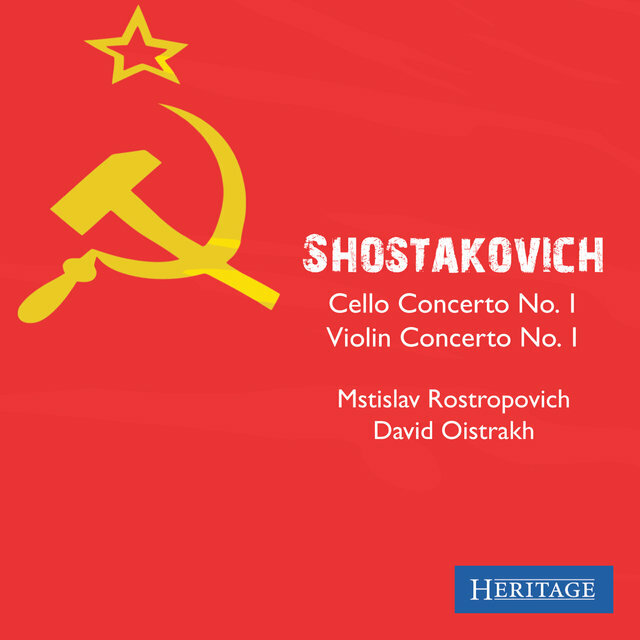 Party Secretary Nikita Khrushchev soon got the edge in a political power struggle and reinstated the tour, allowing Rostropovich to debut in London at the Festival Hall in March and at Carnegie Hall in New York in April. The cellist was immediately celebrated as a great international star. 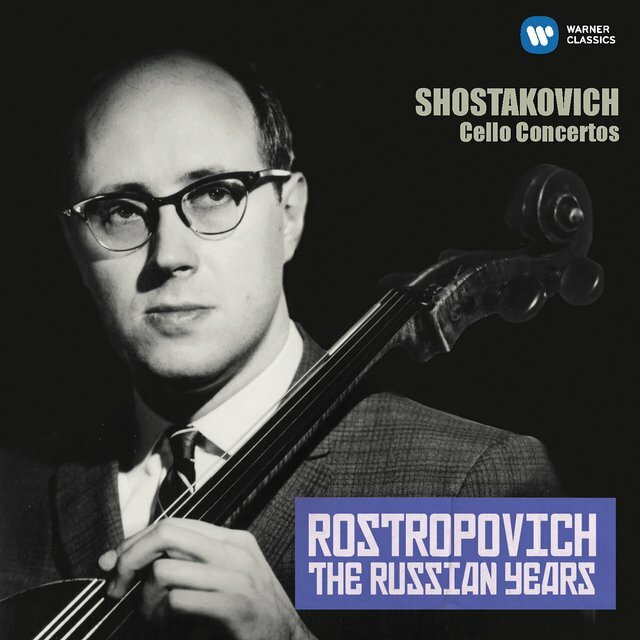 Upon returning to the U.S.S.R., Rostropovich found composers clamoring to write for him, including Shostakovich, who composed both of his cello concertos for him. 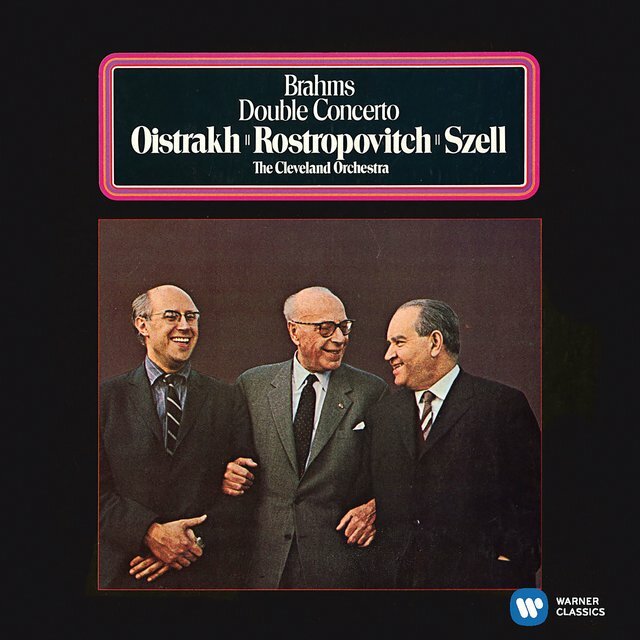 The first one made its Western premiere via a recording of Rostropovich with Eugene Ormandy and the Philadelphia Orchestra, beginning a seminal discography of Western releases. 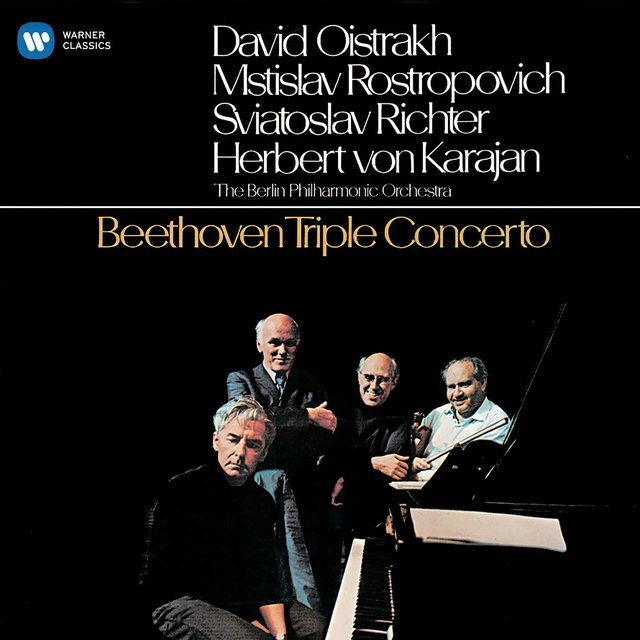 On the same tour, English composer Benjamin Britten attended the London premiere of the concerto, initiating another musical friendship with Rostropovich that led to Britten writing five works for the cello (three solo suites, a sonata, and the Cello Symphony) as well as a song cycle for Vishnevskaya. 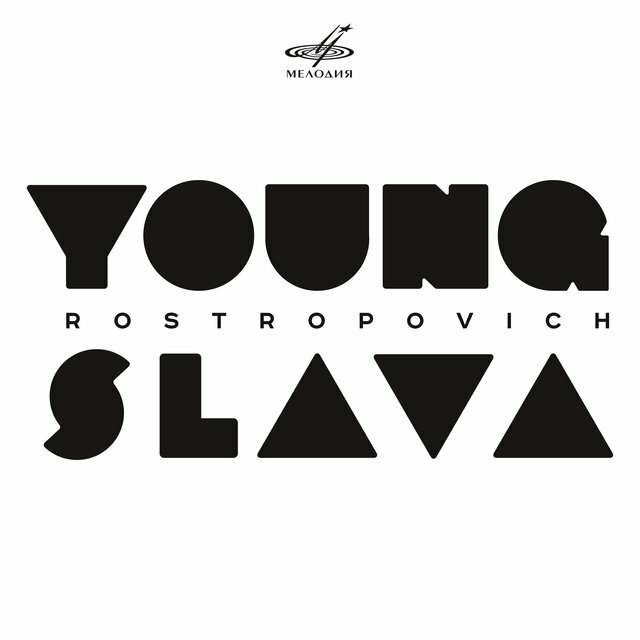 In 1970, Rostropovich protested the government's treatment of the writer Aleksandr Solzhenitsyn in a letter that circulated in the West, embarrassing Soviet officials. 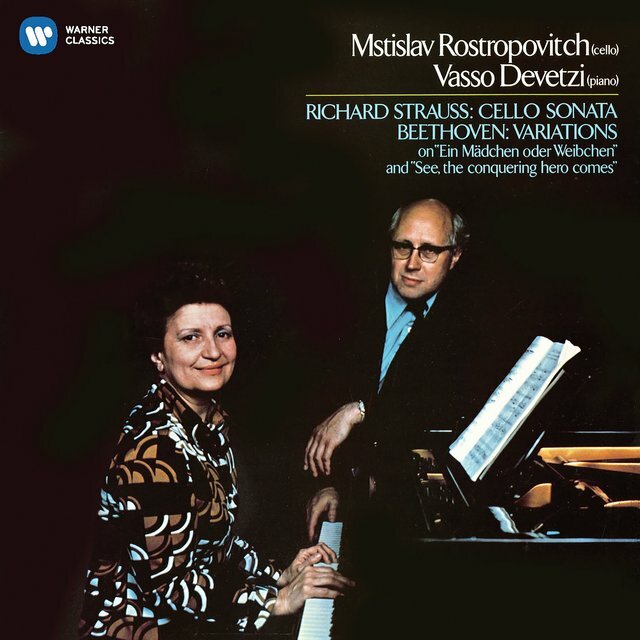 Rostropovich and Vishnevskaya saw their scheduled concerts suddenly canceled, and the soprano was expelled from the Bolshoi roster. In 1974, the government granted their request to visit the West for two years, then revoked their Soviet citizenship. 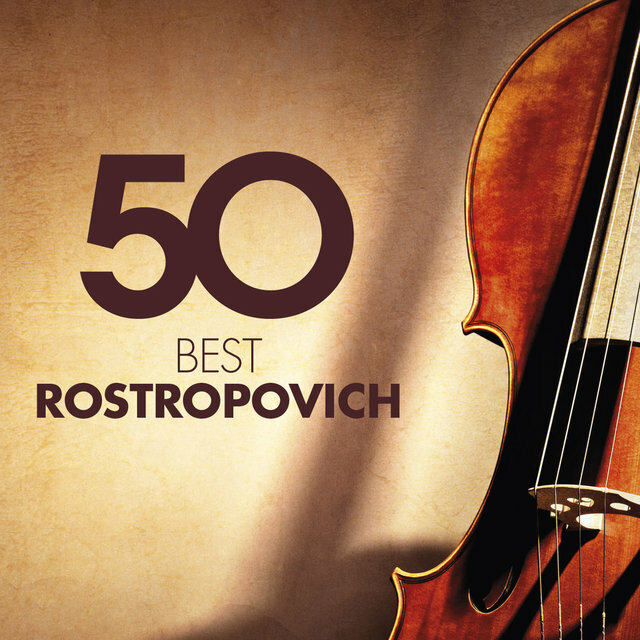 Rostropovich became invisible at home but a major star in the West. 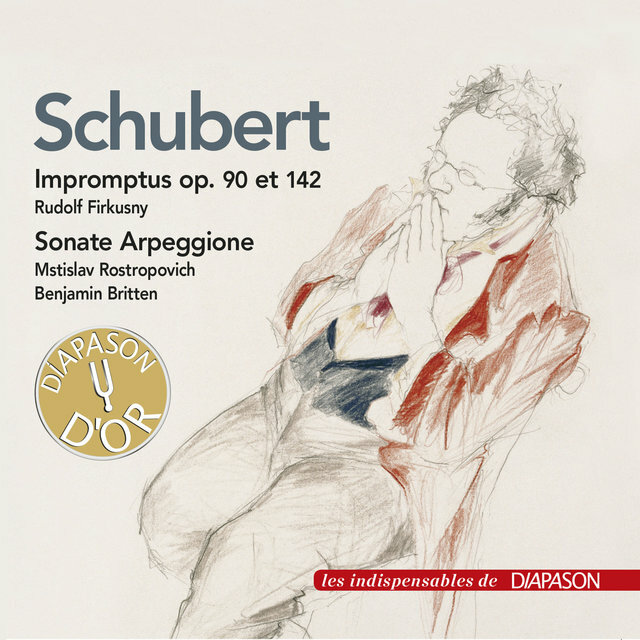 He bought the famous "Duport" Stradivarius. 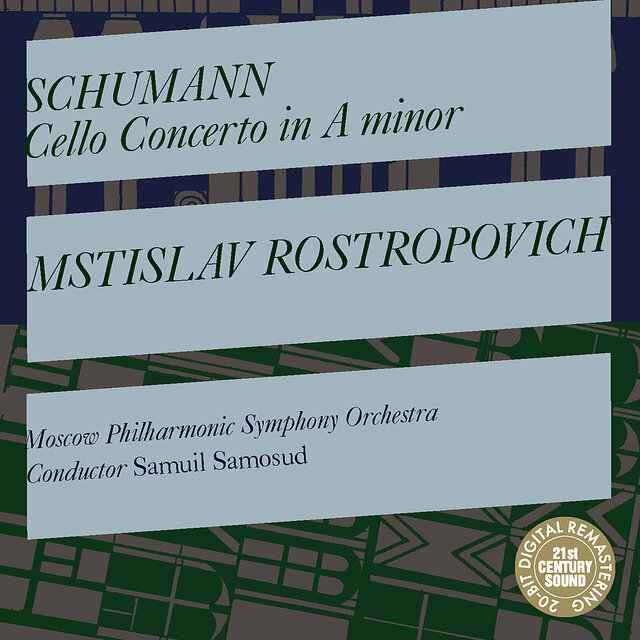 In July, he premiered Soviet composer Aram Khachaturian's cello concerto in Monte Carlo, with Khachaturian conducting. That September, he made his London conducting debut with the New Philharmonic Orchestra, and in March 1975, his American conducting debut took place with the National Symphony Orchestra of Washington, D.C. He was appointed its music director and principal conductor in 1977, a position he held for the next 17 years. 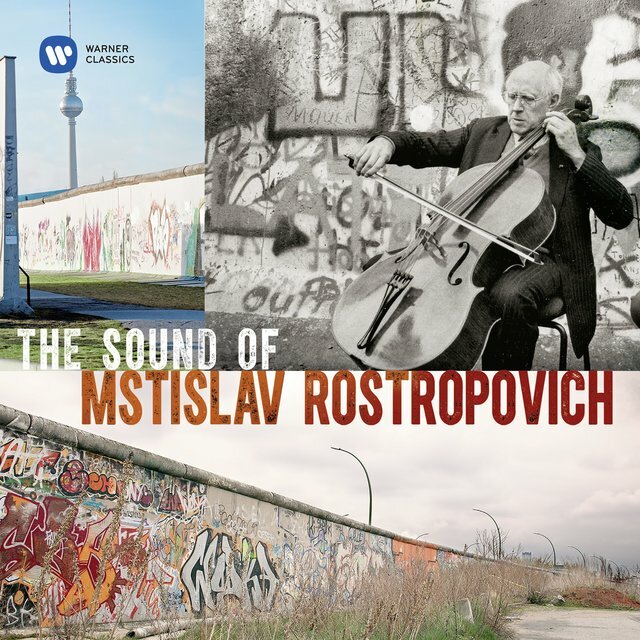 After Rostropovich's impromptu performance at Checkpoint Charlie during the fall of the Berlin Wall in 1989, a moment that was filmed and widely reported, Soviet President Mikhail Gorbachev reversed Rostropovich's expulsion. His emotional return home was documented in the film Soldiers of Music (1991). 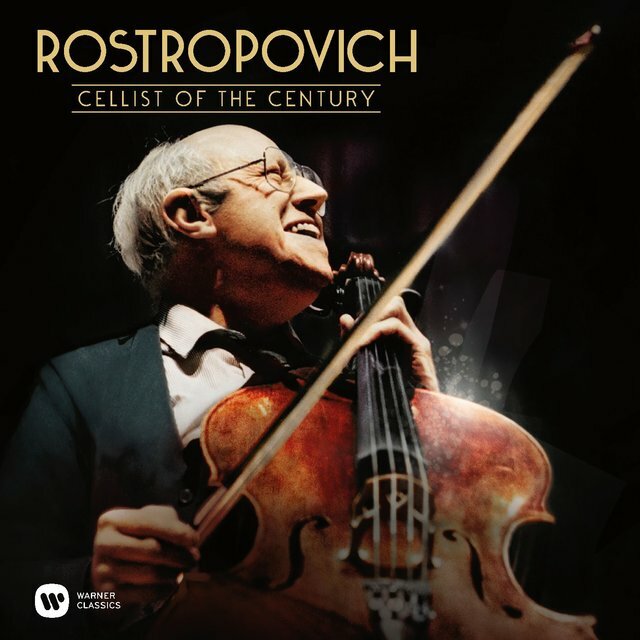 When Russian President Boris Yeltsin stood up to Soviet military power, Rostropovich stood beside him in the events that led to the collapse of Soviet power. 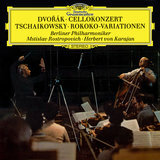 He stepped down from his leadership of the Washington Orchestra in 1994 but continued to make appearances around the world as a cellist and as a conductor. 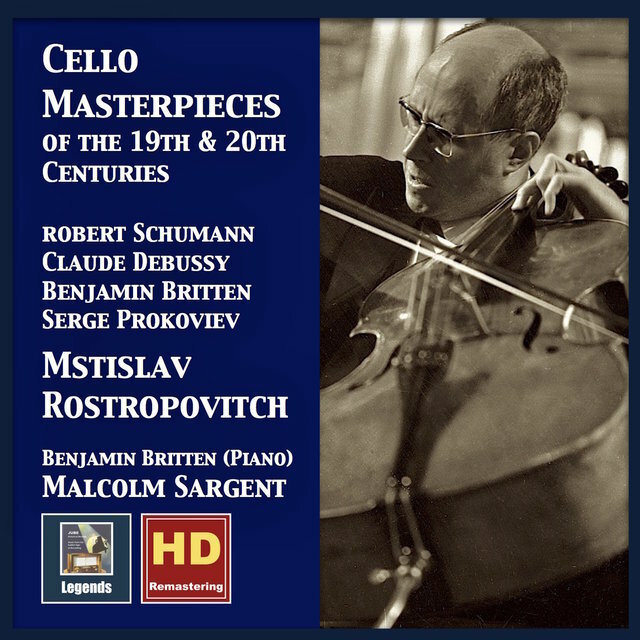 Regarded as the culmination of a lifetime of studying and performing the masterpieces, his 1991 recordings of Bach's six cello suites — his first recordings of the pieces — were released by Warner Classics and EMI Classics in 1995. That same year, he was awarded the Polar Music Prize. The Rostropovich Home Museum opened in his hometown of Baku in 2002. Though his health was declining, he attended an 80th birthday celebration at the Kremlin in March of 2007. 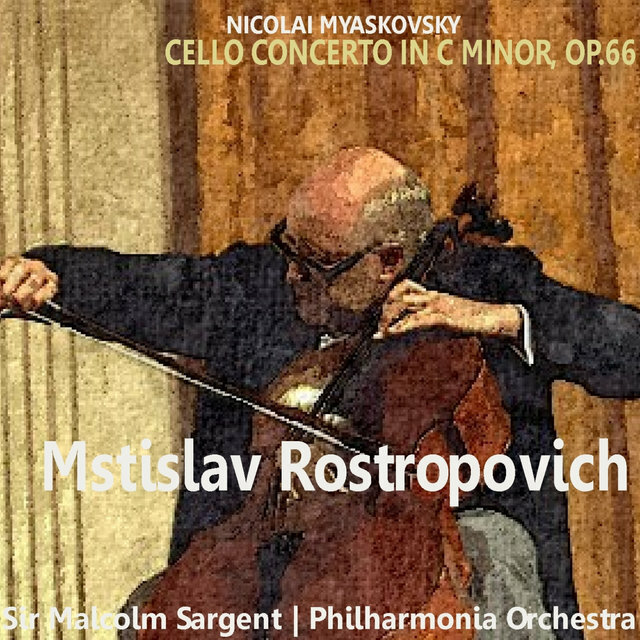 Rostropovich died of intestinal cancer a month later. A statue of him playing the cello was unveiled in Moscow in 2012, on what would have been his 85th birthday. 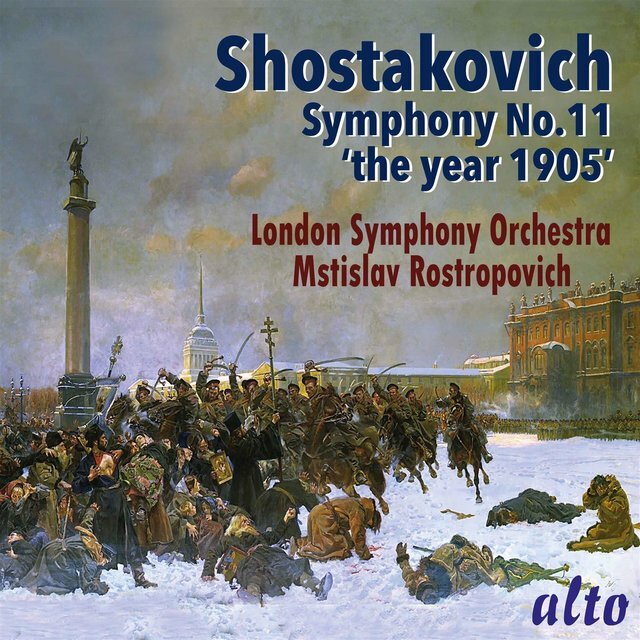 Shostakovich: Symphony No.11 "The Year 1905"